Lower Siret Floodplain (ROSPA0071) is a natural protected area in the South-Eastern part, in Brăila, Galați and Vrancea counties, with a surface of 36.492 hectares. The objective of this Natura 2000 site is the protection of 47 bird species, most of which depend on humid areas. • Native forest replacement by allochtonous and hybrid species. We made the Management Plan for Lower Siret Floodplain protected area, a document that presents the necessary actions and measures to reduce constraints and threats. We monitor the conservation status of species and their habitat in the protected area and we are actively involved in the regulatory process for the activities undertaken on the site. To reduce the negative impact of human activities we also develop awareness and educational activities for the local communities regarding the importance and necessity to protect nature in order to achieve sustainable development. With a total area of 38.204 ha (41, 32 % of Vrancea Mountains), Putna-Vrancea Natural Park is a key element for the protection and conservation of the bears, wolves and lynxes within the local ecological network for the protection of large carnivores in Vrancea County. The park also includes 14 habitats of community importance. • In Putna-Vrancea Natural Park we implement monitoring activities for fauna, flora and habitats through our own initiatives or partnerships. • We promote the Park and touristic objectives with signboards, educational and informative materials. Soveja Site of Community Importance has an area of 4.567 hectares and includes the superior basin of Susita Valley with the major tributaries. In the superior part of the site there are large areas with virgin forest, being the most representative area with these types of ecosystems in Vrancea Mountains. In the same time, the site is an important retreat place for large carnivores (bears, wolves, and lynxes), an important lair and breeding area for these species. Illegal deforestation and inappropriate management of forest ecosystems can lead to a damaging impact on forest conservation, to landslides and ground movements. Moreover, enabling separate ownership over the forests can generate a different, fragmentary management with negative impact on biodiversity. • Consulting, raising awareness and informing the people about biodiversity conservation in the natural area. Putna River Site of Community Importance is situated in the central-western part of Vrancea County, in Putna’s middle hydrographic basin, with an area of 647 hectares. The site was appointed to conserve 5 species including a mammal species: the Eurasian otter (Lutra lutra), one amphibian species: the Yellow-bellied toad (Bombina variegata), one reptile species: the European pond turtle (Emys orbicularis) and two fish species: the Kessler’s gudgeon (Gobio kessleri) and Golden spined loach (Sabanejewia aurata). • Waste as illegal dumping, brought by water or abandoned by the inhabitants or visitors. 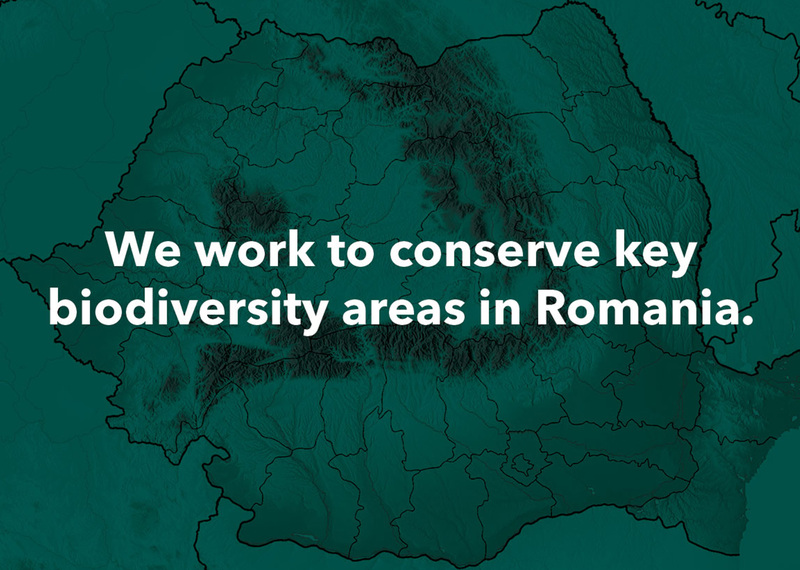 • Educating and raising awareness of the local community and visitors regarding the conservation of natural values in the Putna River natural protected site.